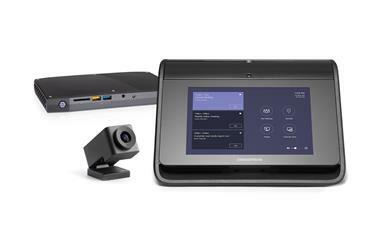 Simplify medium room conferencing with stress-free setup, an intuitive interface, and crisp audio on HP’s versatile Skype Room System that seamlessly connects with Polycom's USB PTZ camera and Trio conference phone. 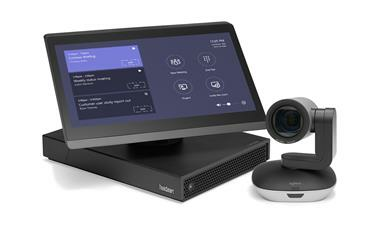 The combination of the Lenovo ThinkSmart Hub 500 and Logitech Brio are built for huddle room deployments and driving a enabling great video conferencing for Skype for Business and Teams. 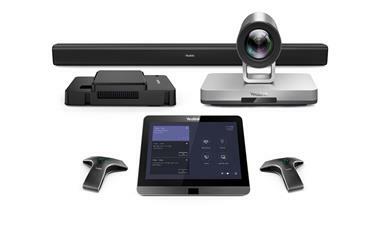 Simplify medium room conferencing with a stress-free setup, an intuitive interface, and crisp audio on HP’s versatile Skype Room System that seamlessly connects with Logitech's MeetUp for professional quality audio and video for video conferencing. 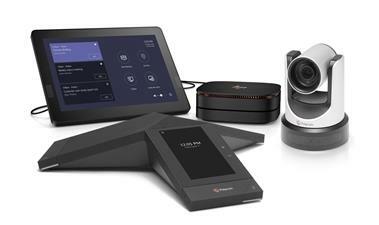 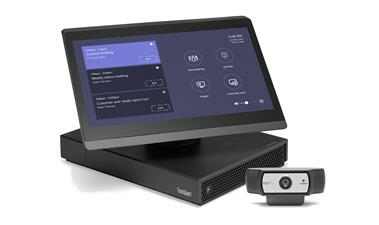 Simplify Large Room Conferencing with stress-free setup, an intuitive interface, and crisp audio on HP’s versatile Skype Room System that seamlessly connects with Polycom's USB PTZ camera and Trio conference phone. 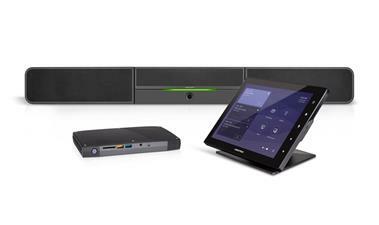 A front of room sound bar and camera experience paired with a table top or wall mounted touch panel. 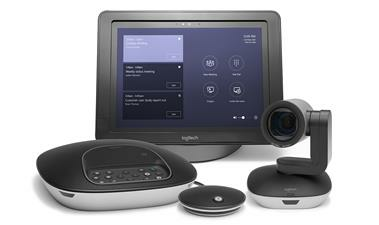 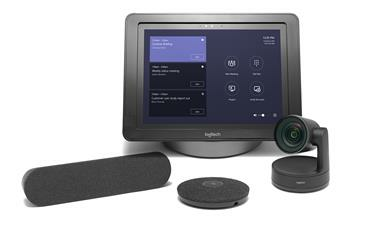 Affordable focus room solution with HD video, high quality speakerphone and one-touch meeting join. 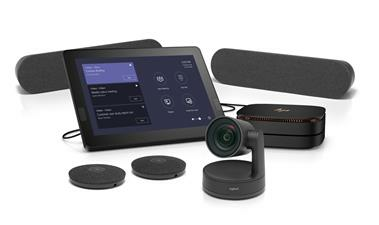 Includes Logitech SmartDock with Surface Pro and Logitech ConferenceCam Connect. 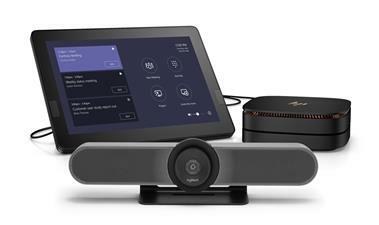 Simplify focus room conferencing with stress-free setup, an intuitive interface, and crisp audio on HP’s versatile Skype Room System that seamlessly connects with Logitech’s C930e for clear video in any environment. 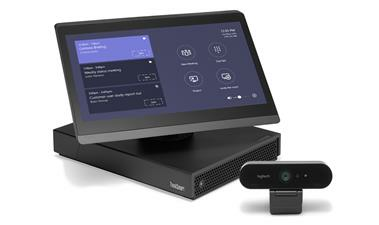 The combination of the Lenovo ThinkSmart Hub 500 and Logitech C930e is built for focus room deployments and driving a enabling great video conferencing for Skype for Business and Microsoft Teams. 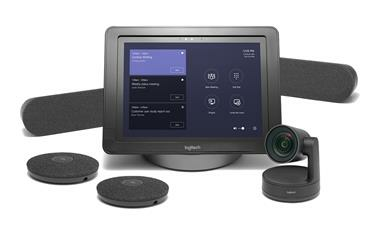 Affordable all-in-one video conferencing for small conference rooms, includes Logitech SmartDock with Surface Pro, Logitech MeetUp ConferenceCam and remote control. 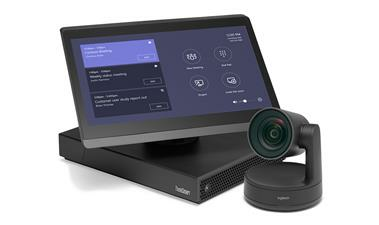 The combination of the Hub 500 and PTZ Pro 2 is built for small meeting room to enable great video conferencing with Skype for Business and Microsoft Teams. 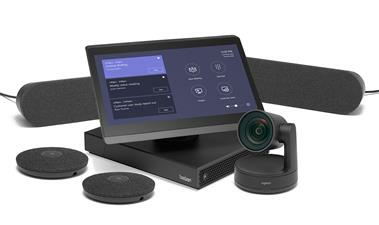 Combined for medium sized room conferencing, enabling a great video conferencing experience for Skype for Business and Microsoft Teams. 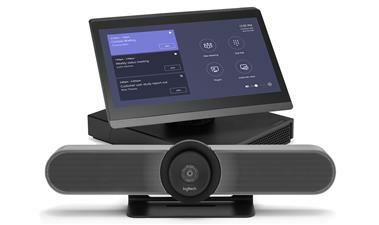 Rich, collaborative Skype for Business experience for medium rooms that is simple to use, deploy, and manage. 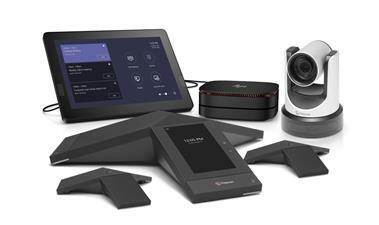 Includes Logitech GROUP, Logitech SmartDock with Surface Pro, remote, and expansion mics. 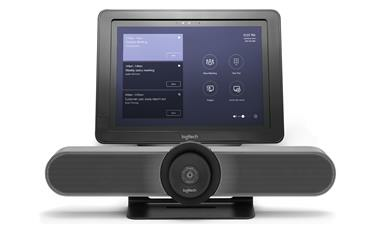 Lenovo ThinkSmart Hub 500 and Logitech Rally Plus suitable for conferencing in large rooms. 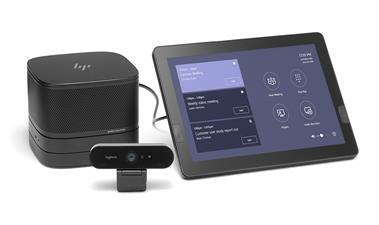 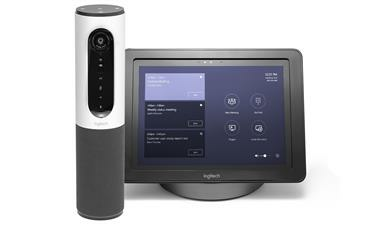 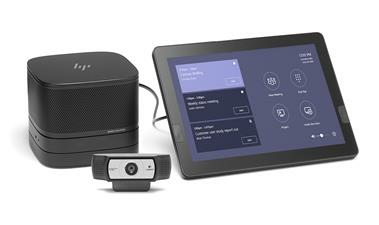 Simplify large room conferencing with stress-free setup, an intuitive interface, and crisp audio on HP’s versatile Skype Room System that seamlessly connects with Logitech's Rally for a premium, modular system that raises the bar for USB-connected AV solutions.